„ELPROM TRAFO СН” is an organization with main activity of Design, manufacturing, selling, repair and testing of transformers and electrical systems. In the base of our activity and our success is the protection of the interests of our clients. The quality of work is an obligation to everyone in the whole organization, with which is determined the responsibility of each of our employees. 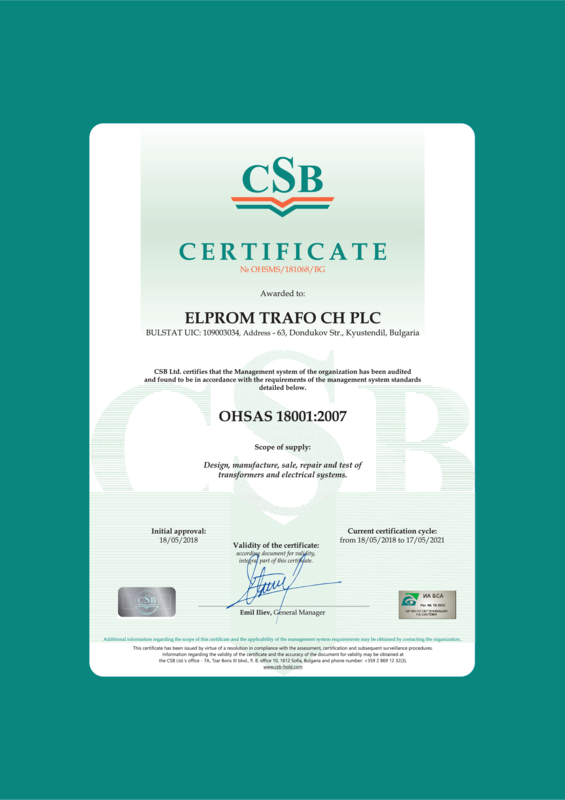 Recognizing my responsibility to the employees and clients of our organization, as an executive director of “Elprom Trafo CH” PLC Kyustendil, I officially declare that the quality, environmental, health and safety policy is appropriated for the objectives and context of the organization that I manage, the policy is comprehended and applied from the employees, as well as announced to all interested sides. 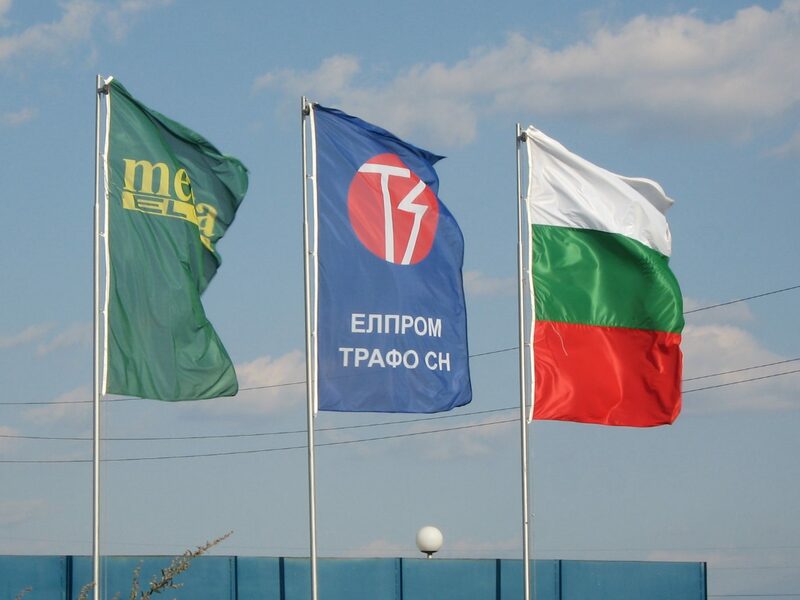 The Management is certain that the team of „ELPROM TRAFO СН” clearly understands the role of the quality, effectiveness in terms of environmental and the health and safety at work for the development and prosperity of our organization in the future and is convinced that everyone, according to his rights, responsibilities and potential will contribute to the policy implementation and effective working of the Integrated Management System. With the official announcement of quality, environmental, health and safety at of work policy , we announce the conviction of the Senior Managment for commitment from the team of “ELPROM TRAFO CH” in its practical application. My personal participation and responsibility in the execution of the announced policy of quality, environment and health and safety at work, which guarantees the rights and expectations of our clients, the employees of “ELPROM TRAFO CH” and the society for constant improvement of the quality of the products produced by us, for assuring the safe conditions of work and for protecting the environment and the lasting prosperity of “ELPROM TRAFO CH” related with this. The Policy of Integrated Management System will be a subject of review at least once a year for adequacy and assessment of its performance during the Management Review.